Being an attraction to hordes of tourists every year, Uttarkashi is a picturesque town located in the north Indian state of Uttarakhand. The town is also known as land of Gods and is popular for its religious prominence and natural exquisiteness. 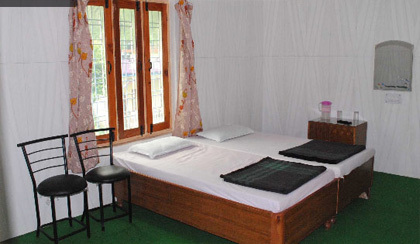 Tourists can opt to stay in Hotel Jahanvi to enjoy a comfortable stay in cheap and attractive tariffs. 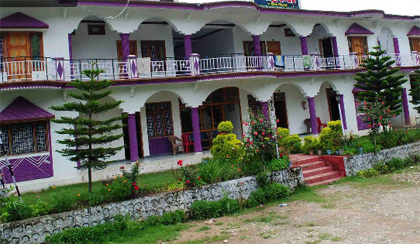 Located in the close proximity from the bust stand of Uttarkashi, Hotel Jahanvi offers a budget-friendly accommodation. The hotel renders warm hospitality and comfy amenities. Some of these amenities offered by the hotel are front desk, laundry, doctor on call, parking, and more. There are 32 well-appointed and tastefully designed rooms in the hotel. Each of the rooms boasts lovely interiors and attached bathroom. The natural vistas from the rooms are engrossing. Guests can also enjoy room service round the clock. 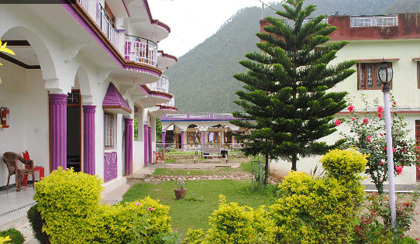 All the major attractions in Uttarkashi can be reached from the hotel in an easy way by road. The hotel ensures to offer a comfortable homely stay to its guests in its 32 spacious and well decorated rooms. It offers Double Bedded Rooms and Four Bedded Rooms so that guests can choose the one as per their needs and requirements. Each room in the hotel is well equipped with basic modern facilities such as attach baths, television with cable channels, hot and cold running water, telephone, etc. Adding to the lavish lodging experience of the guests is the excellent room service offered by the staff of the hotel.